Are you looking for ways to inspire and motivate your new hires? Do you want to offer them an online training orientation experience that entertains as much as it educates? In this article, I’ll share 7 tips to use serious games in your onboarding online training. New employees are usually excited and ready to tackle any challenge their first day on the job. There is also a fair bit of anxiety and stress thrown into the mix, especially for those who lack experience. The good news is that you can lighten the mood while still instilling skills and information. How is this possible? By adding serious games to your online training strategy. 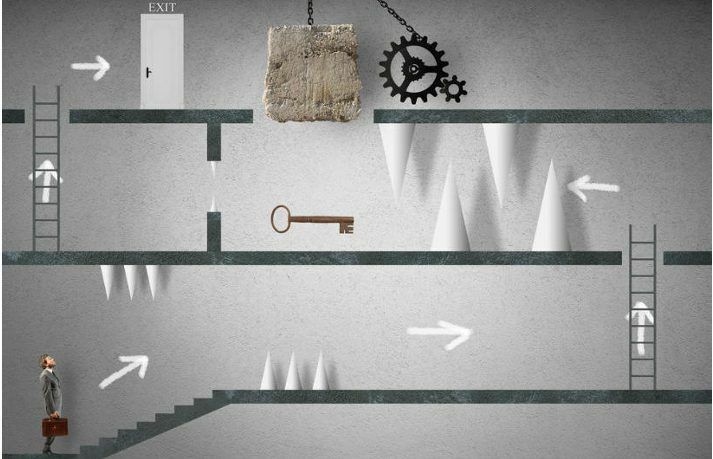 Here are 7 of the top tips to integrate serious games into your onboarding online training. New employees need to know where they'll be working, taking breaks, and clocking in each day. Serious games allow them to explore their work environment before they step foot into the physical space. Instead of immersing themselves in fantasy worlds, employees can go on an epic journey through your stock room. This offers a variety of benefits, such as improved productivity and more effective resource allocation. For example, managers no longer have to give employees the "grand tour", because they've already seen it online. However, it's still important to have a guide on hand to answer questions and offer additional help. Company pride is essential. One of the most effective ways to cultivate it is by showcasing your organization's history and culture. Develop a timeline-based game that highlights every stage of your company's journey. Employees get to see the inner workings of the brand and how it's grown over the years. Tell them the story of who you are, what you stand for, and what sets you apart. Employees who feel a connection with your company are more likely to stick around. They will also be effective brand representatives for your customers and clients, which means increased profits. A new hire's first day can be nerve-wracking. They usually don't know anyone and are a bit unsure about how they'll perform. You can ease the pressure by creating a "first day on the job" branching scenario that serves as an orientation. New employees have the chance to login to the system, interact with co-workers, and ring up purchases. Best of all, it takes place in a supportive virtual learning environment. They can ask for help from an instructor if any problems arise, or even use the in-course FAQ. You also have the opportunity to evaluate their performance so that they can iron out any issues beforehand. One of the most challenging things about joining a company is memorizing all of the products. This is especially true for organizations that have different product lines or add-on services. Serious games make product knowledge online training fun and engaging by turning it into an interactive story. Each level in your serious game can feature a new product and explore its benefits. Then employees must match the item with the ideal customer. For example, your newest mobile gadget might be a perfect fit for the tech-savvy customer persona. Product-based serious games also help to improve service and sales skills. New employees have the power to interact with virtual customers so that they can improve their communication skills. Some new employees are apprehensive about using software and equipment in the workplace. In the past, they were forced to learn on the job, which involved a great deal of risk. For example, they might injure themselves, or a co-worker, while trying to learn the machinery's controls. Today, they can count on serious games to give them real world experience. New hires don't have to worry about risking life and limb, because there is a virtual fail-safe in place. This also applies to tools they'll commonly use at the company, such as sales terminals and telephone systems. In most cases, online compliance training comes after orientation. However, you can get a head start on the process by integrating it into your new hire training. Better yet, turn it into a serious game that is entertaining and enjoyable. Walk them through a safety-related task and see if they can choose the suitable protective gear. Transform your company's policies and protocols into an immersive adventure. Doing so can help to prevent costly compliance violations and ensure that EVERY member of your team is well prepared. Instead of integrating serious games into your onboarding online training, why not make the entire online training experience on big game? New hires will complete the first level of the serious game, which primarily focuses on orientation topics. For example, they'll learn about the workplace dress code and how to request vacation days. The second level comes a week or two later, once they've settled in. This section explores more complex job-related skills and tasks. Then, the third level is scheduled, and so on. Instead of a traditional online training course map, employees must complete each level in order to unlock the next. Ongoing online training games also involve spaced online training, which improves knowledge retention. Just make sure that there is a cohesiveness to the serious game design. In other words, the serious game should feel like a complete online training experience rather than disjointed lessons. Get department managers, supervisors, and a select group of employees involved so that you can get their valuable feedback. These individuals can offer insight on what new hires need to know right away, and what can wait. This helps you avoid cognitive overload and reduces those dreaded first day jitters. Serious games have the power to fine tune skill sets and improve task proficiency. Read the article 7 Tips To Integrate Serious Games In eLearning to discover how to integrate serious games into your eLearning strategy and walk the fine line between entertainment and online training.